For the first time, the social network shares data from top-performing campaigns. Facebook has about 1.65 billion monthly users, which means only about half the people on the Internet are using it. To help reach "the next billion," as chairman and chief executive Mark Zuckerberg likes to say, Facebook is pouring its resources into making the site available to people all over the world, regardless of the quality of their internet connection. 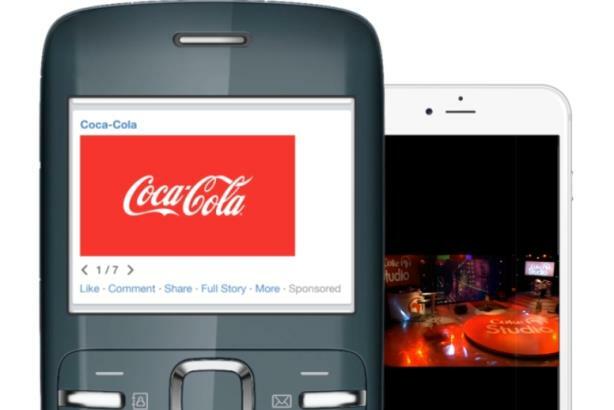 In October, to help its 3 million advertisers reach the users in these new markets, Facebook introduced an ad product called Slideshow, which allows advertisers to reach people with slower connections. This is important in countries such as Indonesia and Brazil, where mobile phones with 2G and 3G connections are often the only way people can access the internet. "Frequently, marketers are creating Facebook videos, but because of the difference between 2G and 4G connections, people cannot access these," said Jennifer Spies, product marketing manager at Facebook. "Slideshow’s flexible ad format, one of the first to be developed in emerging markets, creates an immersive advertising experience for varying levels of connectivity." For Facebook, proving it can operate as an ad platform in these regions is crucial. Though North America accounts for only about 15% of its user base, the region generated nearly half of Facebook’s advertising revenue in the first quarter of 2016. As Facebook increasingly saturates the U.S. market, it will need to lean more on other markets — and advertisers who are more limited in the creative they can produce — to generate more of that revenue. Eight months after Slideshow was introduced, Campaign asked Facebook to share some small case studies to demonstrate how advertisers are making the most out of the product. So far, Southeast Asia is Slideshow’s fastest-growing region, but Slideshow has been viewed in more than 200 countries, the company said. Below are a sample of the company’s responses. Although many Americans can identify the orange, powdered beverage that astronaut John Glenn took into space, Tang is not as well known in Latin America. Since emerging markets are a priority, the Mondelez brand turned to Slideshow to improve its perception and awareness in Brazil and Argentina. Tang agencies Ogilvy Argentina & Brazil and Starcom Mediavest worked with Facebook’s Creative Shop to create a campaign that ran from October through December 2015. Both countries have unreliable wifi signals, so reaching consumers through mobile can be difficult. In Brazil, it’s very expensive to play an ad on TV, so it’s cheaper and easier to target people using Slideshow, according to Maria Mujica, the regional marketing leader of Tang Brazil. This particular campaign was targeted to moms. The ad consisted of four rotating photos that ran within Facebook’s news feed. The first photo had a close-up of the beverage with a tagline reading, "A great taste at a very convenient price." The next showed a family at a kitchen table with the product in front of them. The third showed the different flavors of the powder. And the last, the Tang logo. The campaign saw a 15-point increase in ad recall and an eight-point increase in message association, Mujica said. "Slideshow found the sweet spot," she said. "It changed how we targeted audiences. We discovered much more integrated ways to reach people even though a large part of the population has really lousy wifi." At the beginning of March, Nestlé’s Bear Brand used Slideshow to increase the awareness of its "Super Savings Pack" in the Philippines, despite the milk brand already being prominent in that country. The "Super Savings Pack" is a reduced-priced bag of the powdered milk. In the ad, a young woman is seen preparing her dinner to go along with her Bear Brand milk. In one photo she carries her groceries next to her car. In another, she washes a chicken breast in a kitchen sink. She is then seen picking up her glass of the milk in front of her dinner. The campaign, which ran on Facebook only, boosted brand recall and familiarity, and doubled the sales of the "Super Savings Pack" over the previous quarter, Nestle said. Among women aged 35 to 49, the ad delivered a 26-point lift in ad recall and increased awareness by 13 points. At the same time, the perception of value of the product rose five points for women aged 25 to 34. On Facebook, the post received 65,011 impressions and 1,100 comments, and was viewed 5,483,617 times. To raise awareness of a new season of "Coke Studio Africa," which brings African musicians together to create unique genre mashups, Coca-Cola used Slideshow to extend the reach of a pre-existing video ad. The brand took high-resolution screenshots of the video, and uploaded them with basic text to Facebook. The brand began its slideshow ad with its iconic red logo, followed by the screenshots of the video. The Coke Studio logo can be seen on each screenshot at the top left corner. The goal was to reach a target audience on their mobile phones, even those that operated on slower connections. Ad awareness was raised by 10 points in Kenya, and Coca-Cola was able to reach 2 million people, twice its goal, according to the brand. Apparently, an advertiser doesn’t have to target emerging markets to get a lift out of Slideshow. Stance, an online sock retailer known for its bright, quirky designs, used the ad unit in North America in order to quickly reuse existing creative assets. The goal was to grab the attention of potential customers as they scrolled through their news feed on Facebook. Instead of investing more time and money on custom photos for the Slideshow, the sock retailer pulled seven socks that customers can purchase online and pulled them into the Slideshow. The brand worked with Brown Bear Digital to illustrate a variety of styles that could speak to different personalities. Since the socks were all shot on a white background, the Slideshow has a flipbook quality. The brand compared their Slideshow campaign to their previous ads with photos and links. It found that their cost-per-acquisition rate decreased by 48%, their click-through rate increased 2.42 times and their return on ad spend was amplified 1.48 times. "Stance used slideshow across Facebook and Instagram to effectively increase sales," says Brett Sirianni, director of social media at Stance. "The campaign was a great partnership between the art and science of our brand."